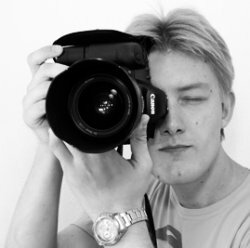 My name is Magnus Isaksson and I am a photographer. I reside in Småland in the South of Sweden where I also work as a technician at a metal processing factory. In 2003 I bought my first camera. For better or worse, I've been snapping away ever since. Someone once said that the moment you consider photography an art form, that's when you really are a photographer. I tend to concur. I often get asked what gear I use, so here's a few lines for all the gearheads out there. For digital I mainly use Canon DSLR:s, namely a 1Ds Mark III and a 5D Mark II, combined with a bunch of L-lenses. I also occasionally use a Fuji X100. For analogue I use several different classics. Rangefinders, compacts, Polaroids, you name it. I haven't really got a favorite film, but Portra 400 and Tri-X account for the majority of my film stash. I do my own film processing and printing at home. On this blog you will see parts of my work mixed with gear reviews, rants, thoughts and opinions. Oh, and don't get mad if I go off topic.